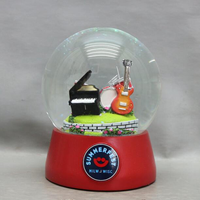 The models featured in the online store are local music and art educators and Summerfest fans. 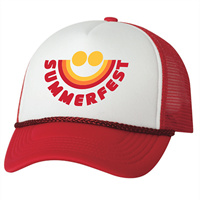 Get your head in the game with this retro 1982 foam trucker hat. 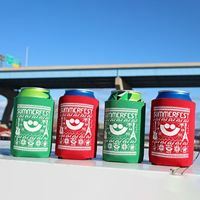 Show you Summerfest pride this tailgating season! 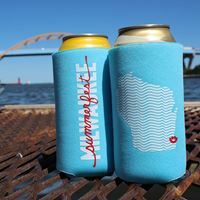 No matter who you root for, with this insulated sleeve, you can’t lose! 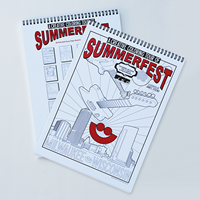 Enjoy the best of the fest with this Summerfest coloring book. 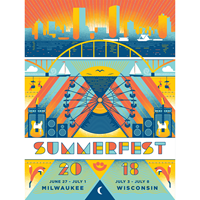 Take a creative coloring tour of 20 different destinations all illustrated by Milwaukee Artist James Steeno.